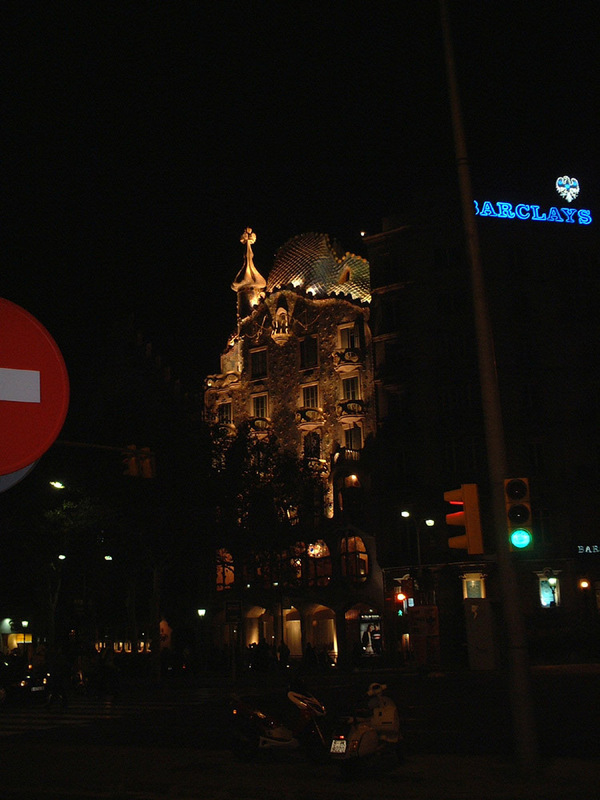 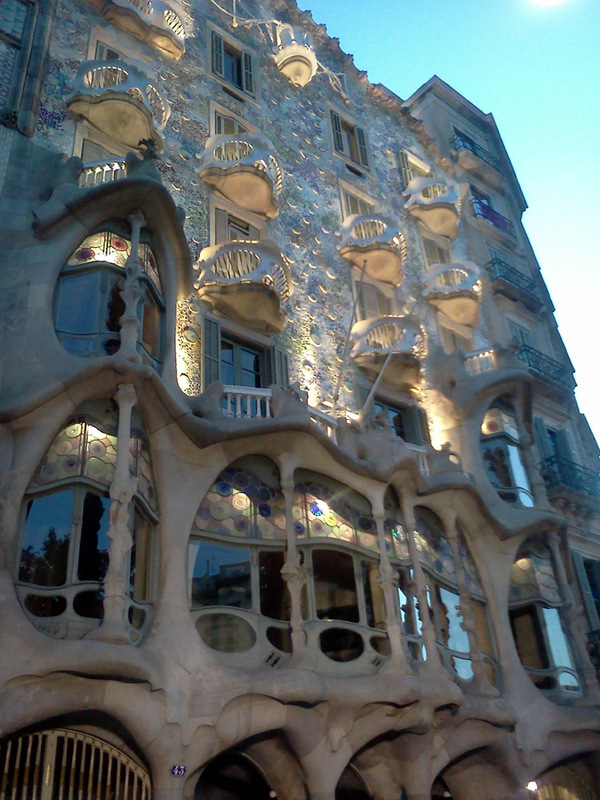 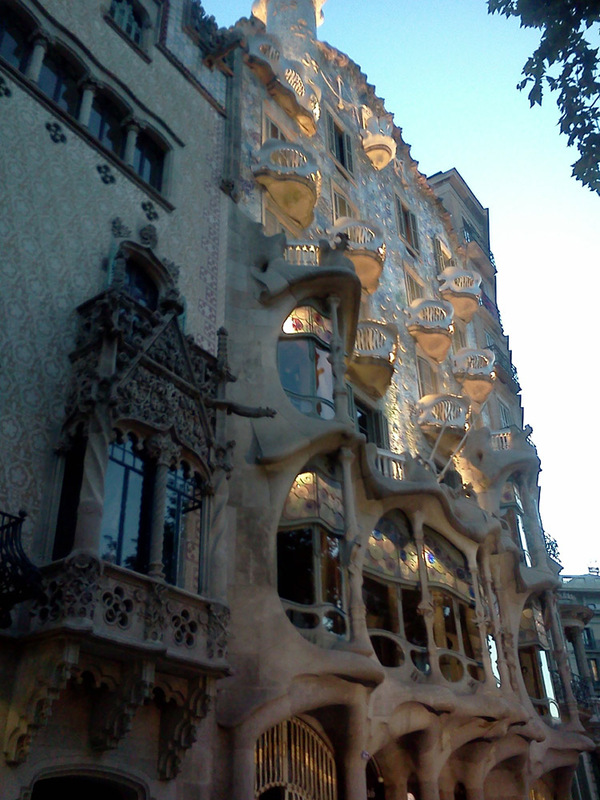 Casa Batllo | No place like home. 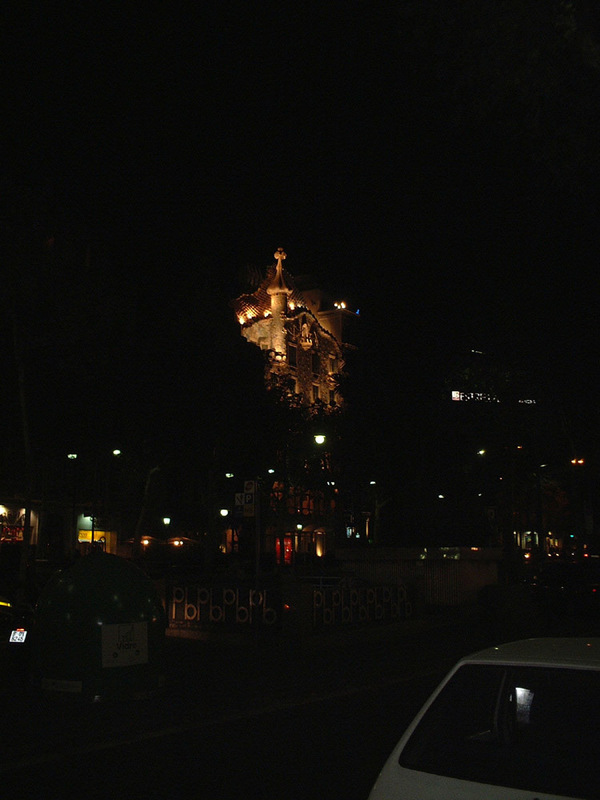 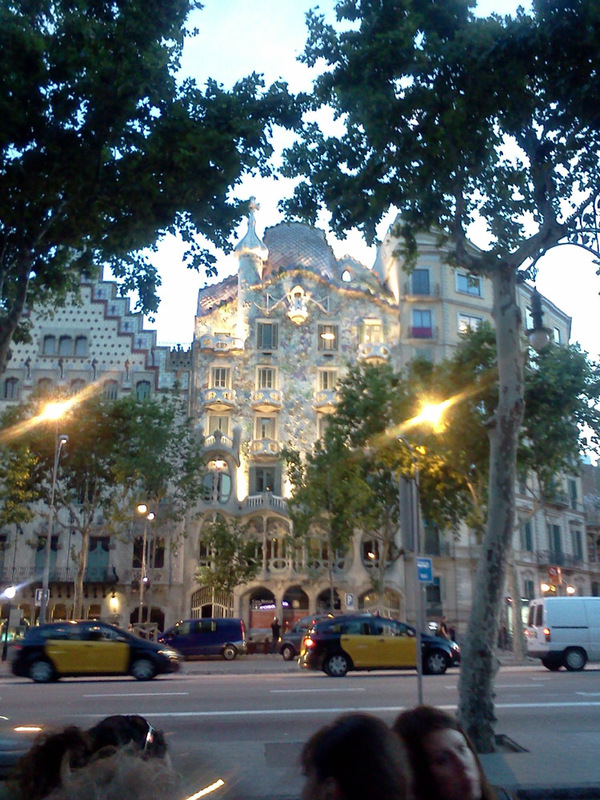 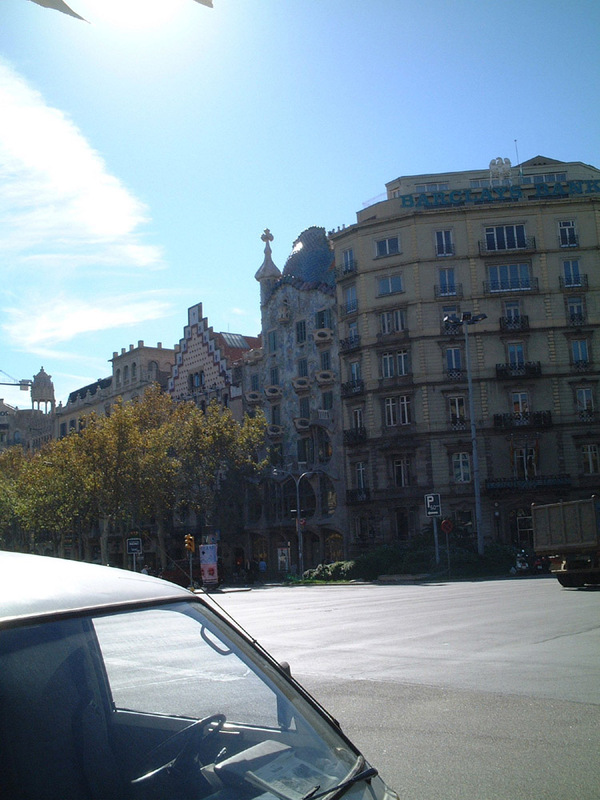 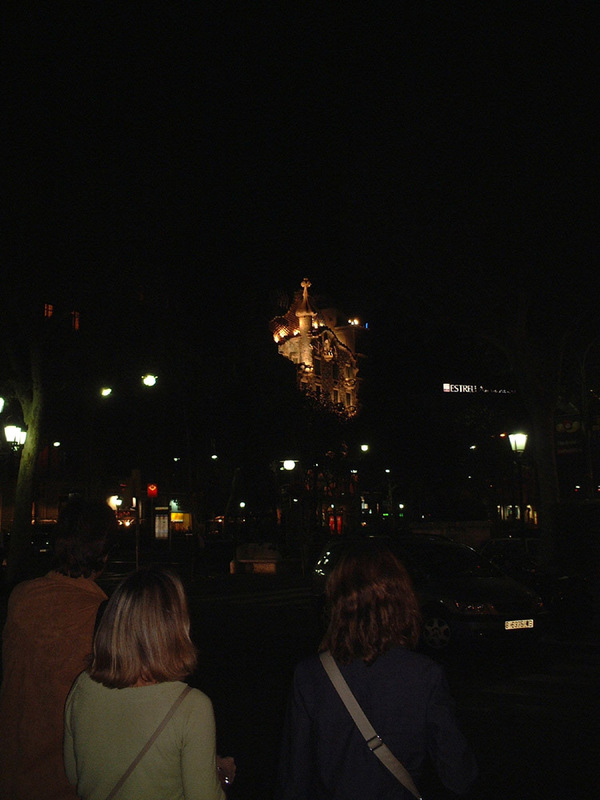 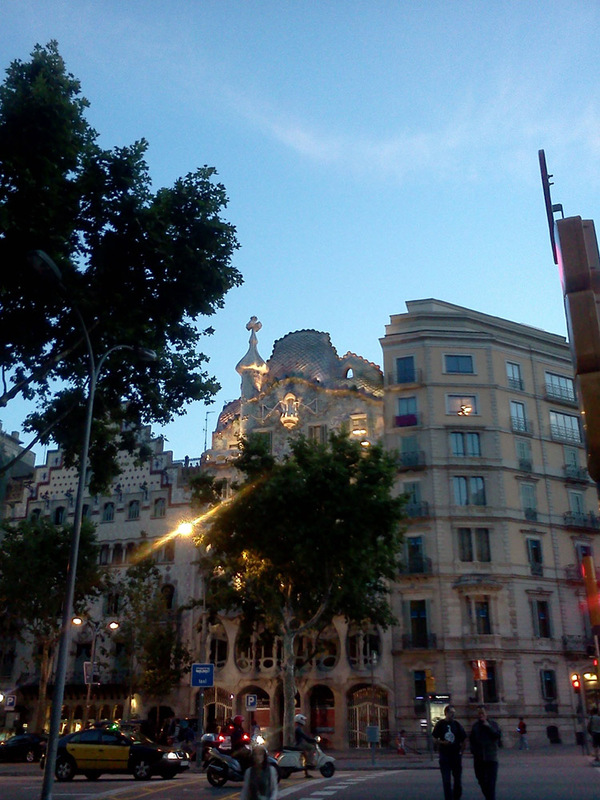 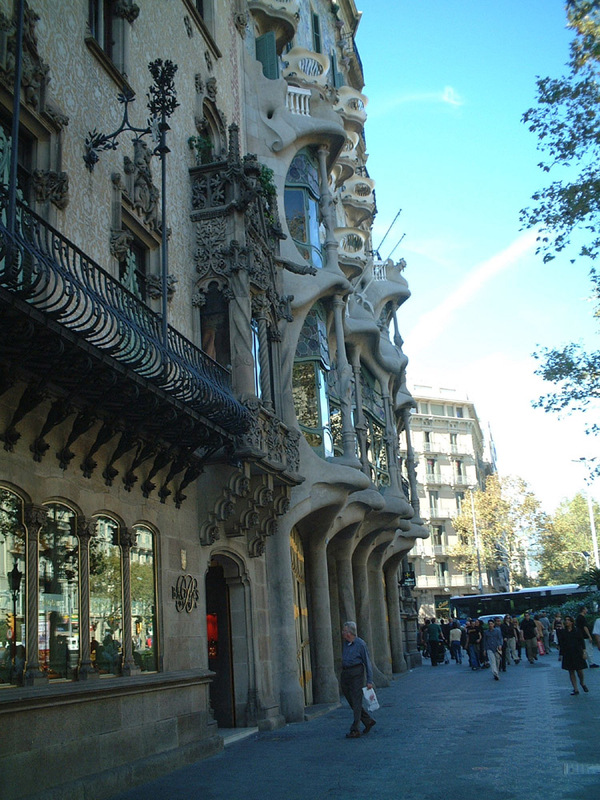 This is one of Gaudi’s most famous buildings and stands in Passeig de Gracia which begins at Placa Catalunya and extends north almost to Parc Guell. 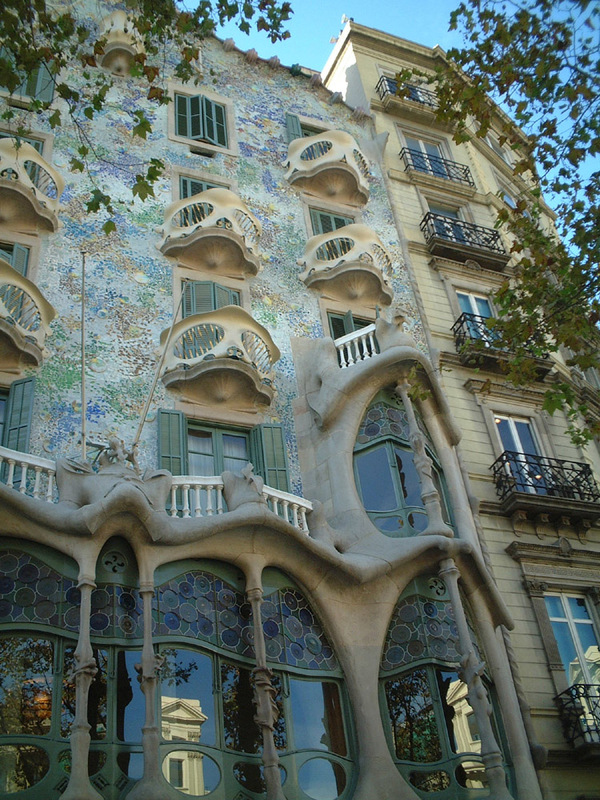 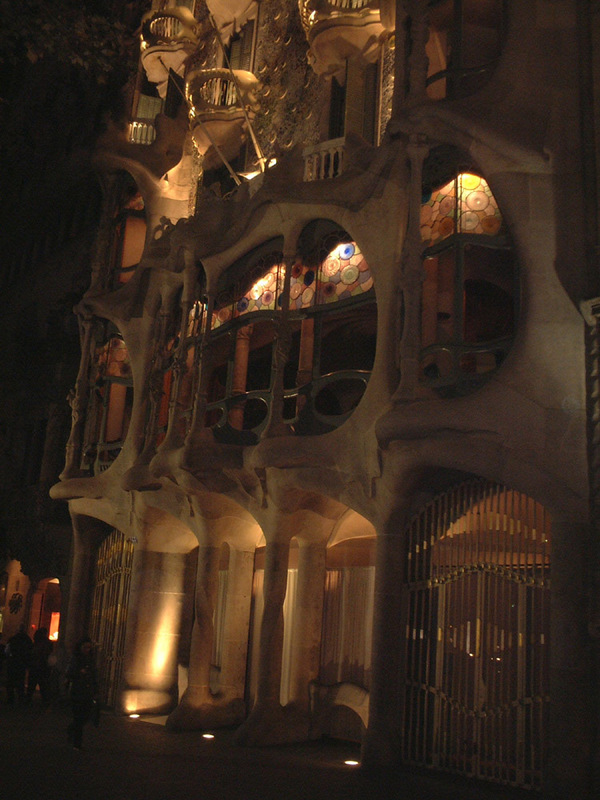 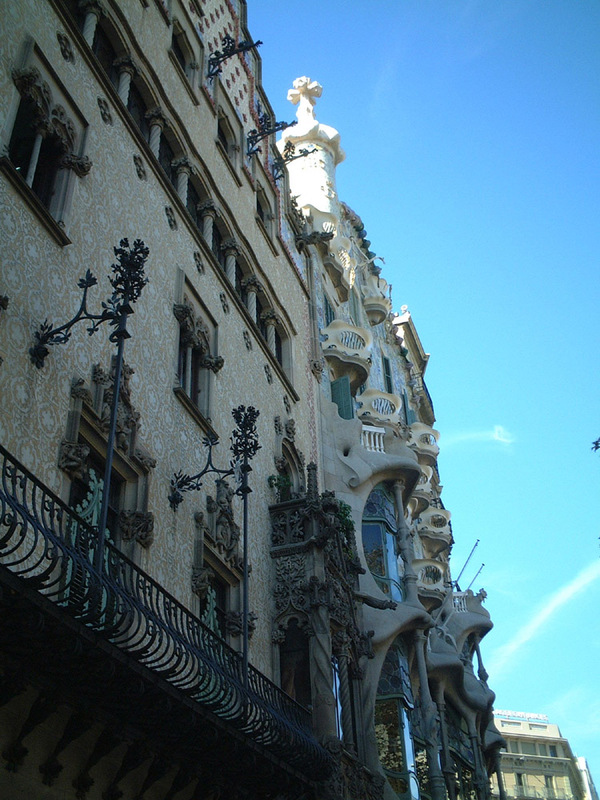 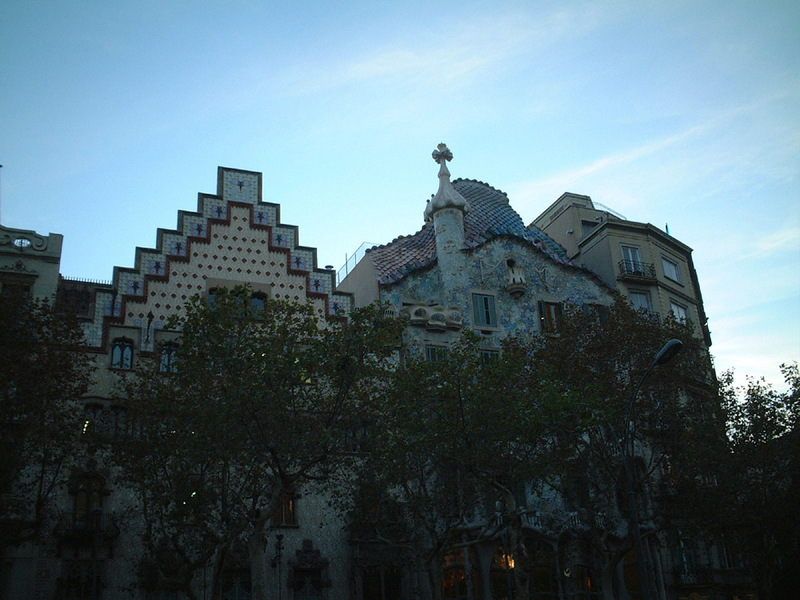 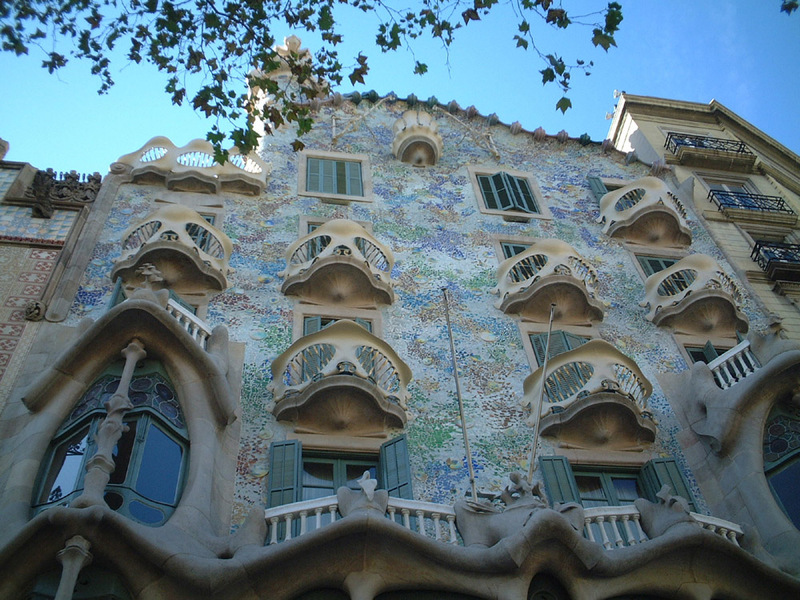 Passeig de Gracia is known for it’s stunning architecture, not the least of which is Gaudi’s Casa Batllo, built between 1906 & 1908. 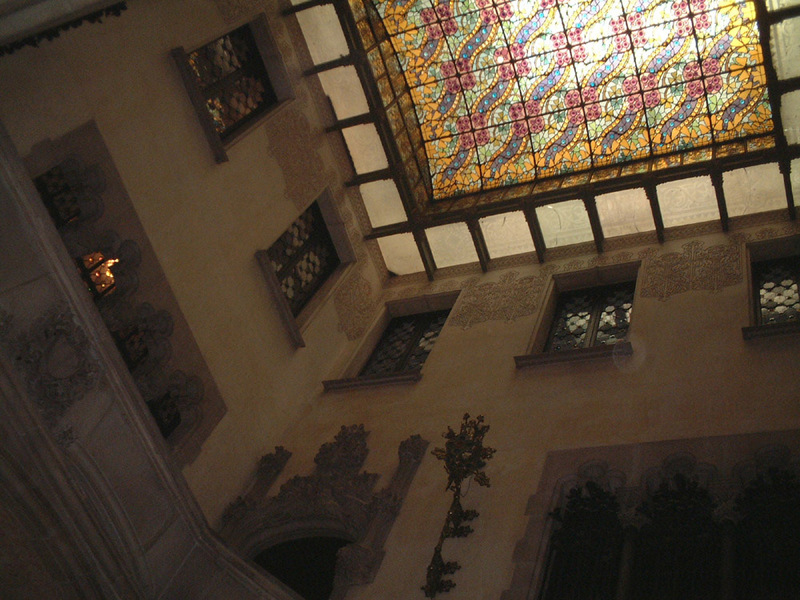 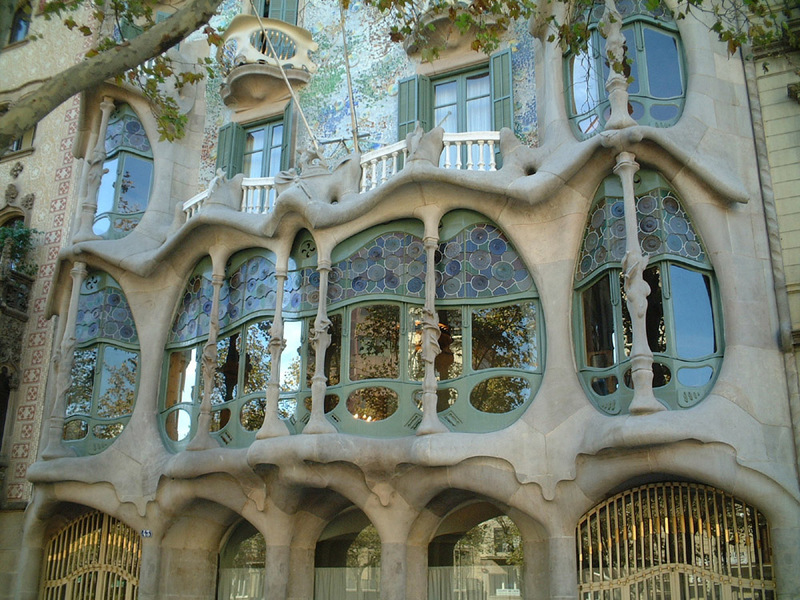 Said to resemble the interior of a dragon, the roof form and “skeletal” windows give rise to many interpretations. 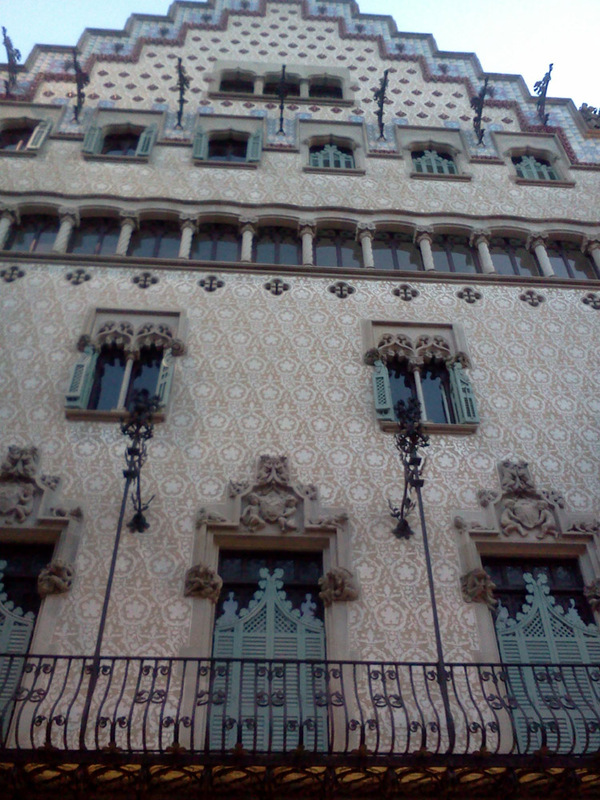 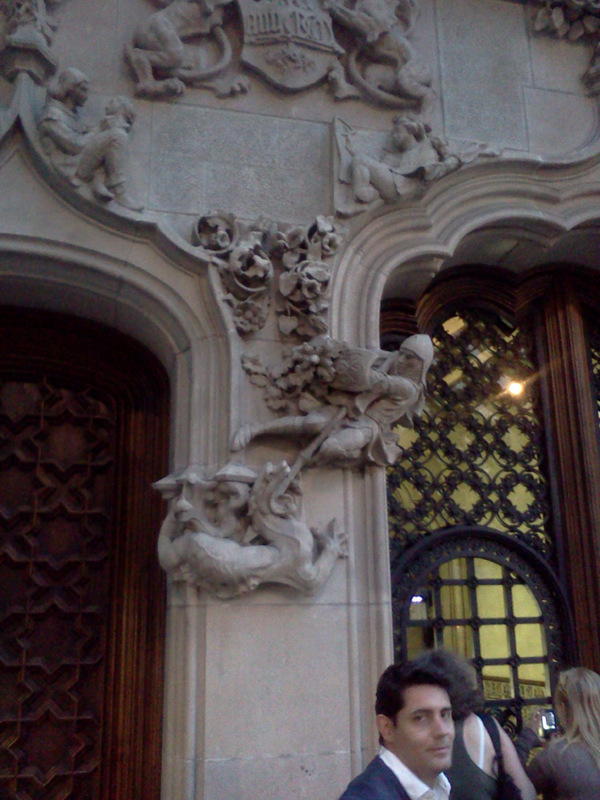 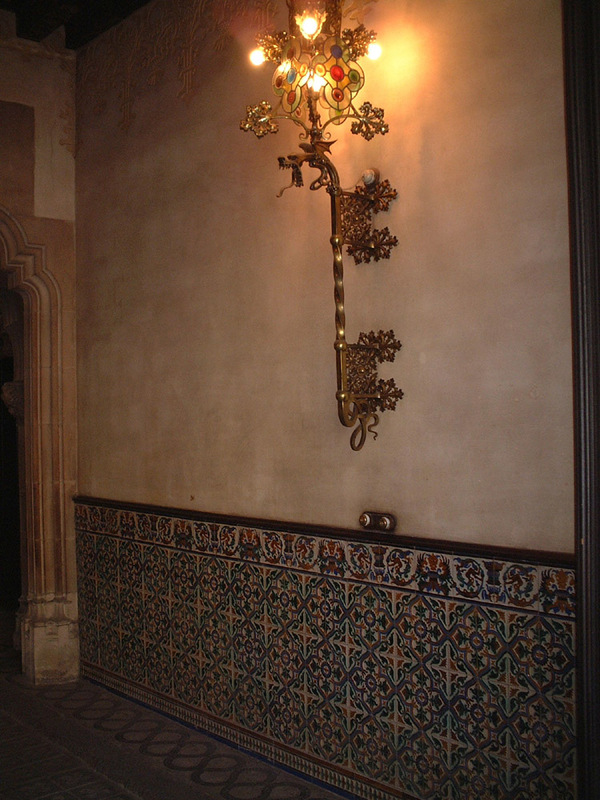 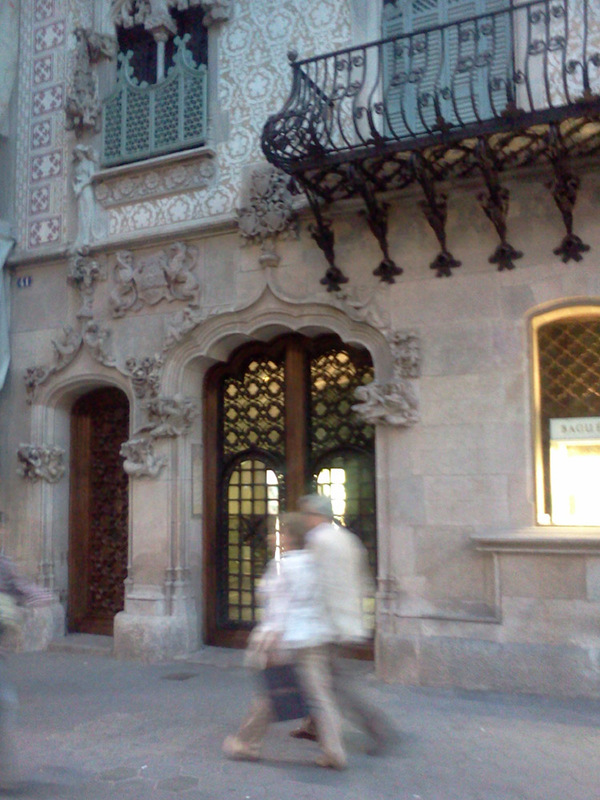 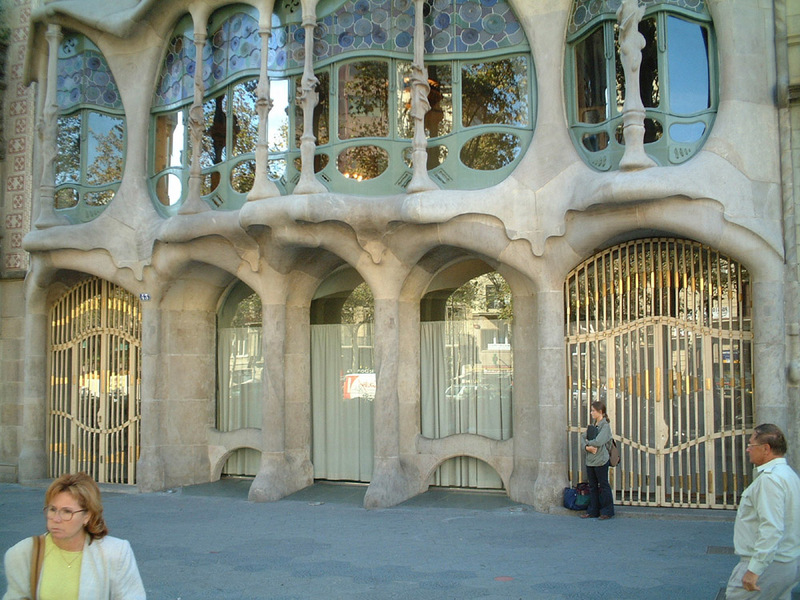 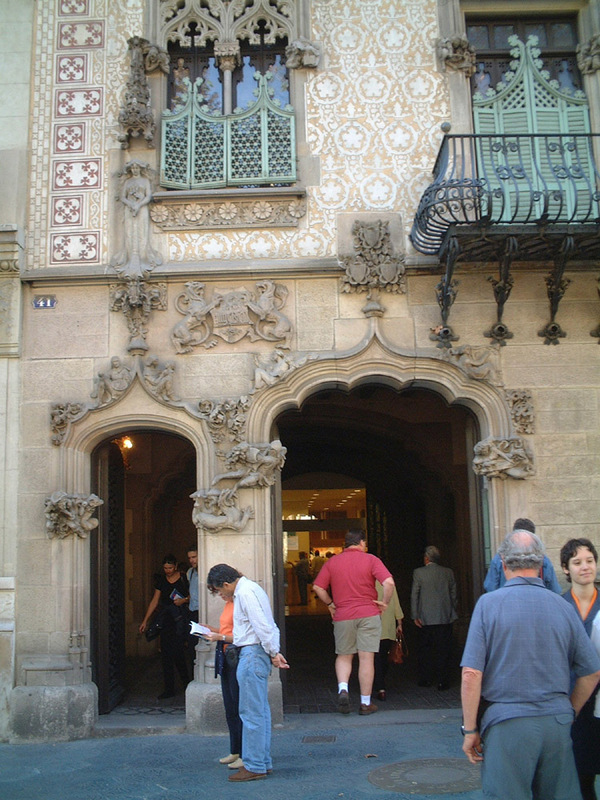 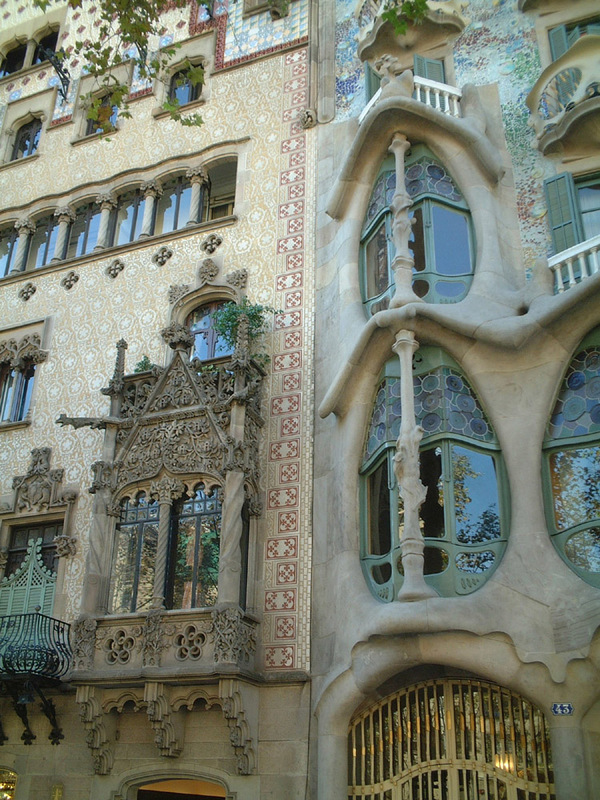 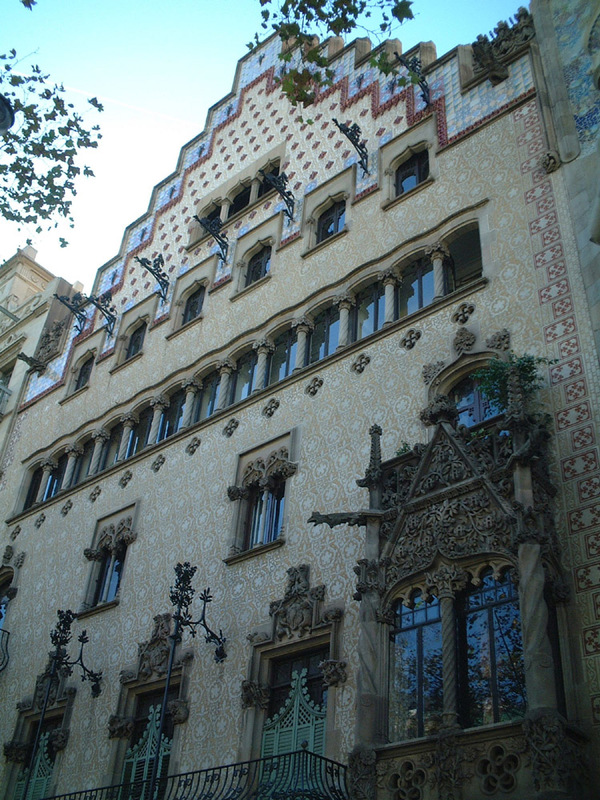 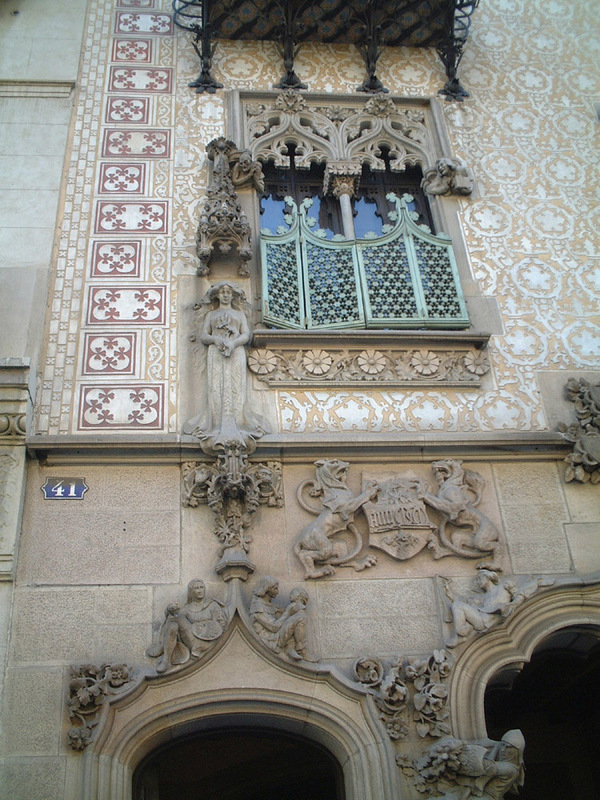 The building next door, Casa Ametller, is one of the finest examples of classical Spanish architecture and Guadi changed the facade of Casa Batllo several times so as not to “overpower” such a fine building. 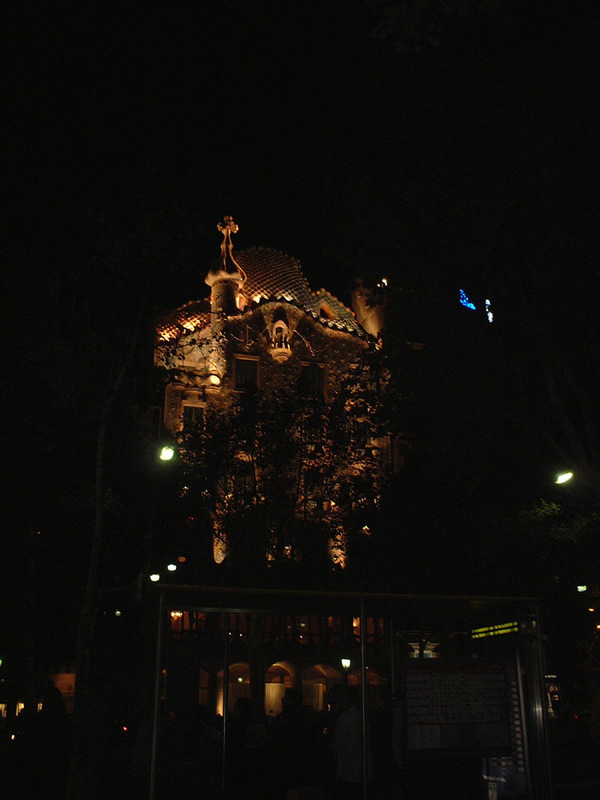 The building takes on a completely different form at night when it’s illumination gives a whole new meaning to the word architecture. 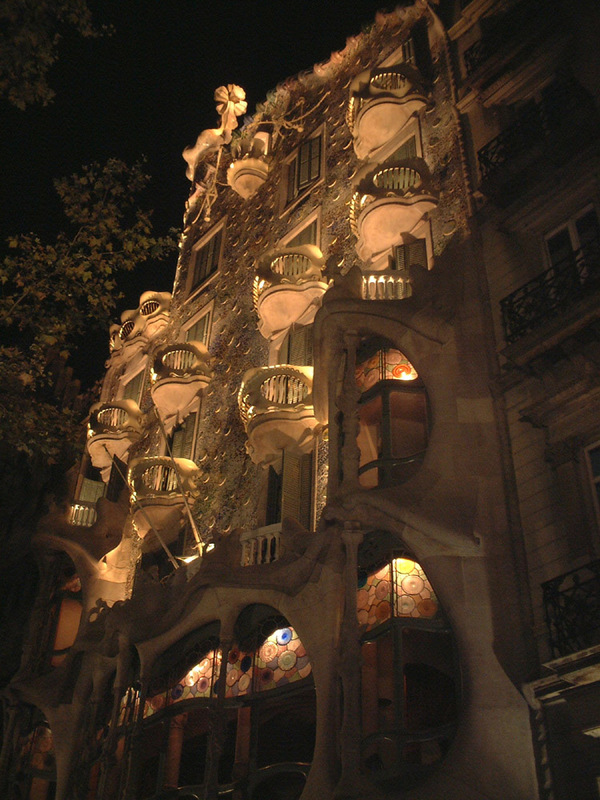 None the less, it remains one of the most photographed buildings in the world.